Below is Kantor & Kantor LLP’s summary of this past week’s notable decisions. InThomas v. Bank of Am., 13-442, __Fed.Appx.___, 2014 WL 5151944 (2d Cir. 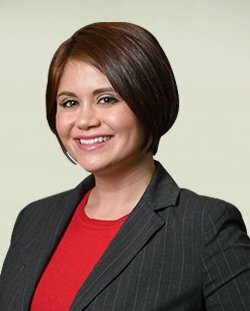 Oct. 15, 2014), the 2nd Circuit Court of Appeals dismissed Bank of America’s appeal for lack of jurisdiction, finding that the district court’s order, wherein it (1) ruled that Bank of America, in addition to Life Insurance Company of North America (“LINA”), was a Plan Administrator; (2) concluded that LINA’s denial of benefits was arbitrary and capricious; and (3) remanded the matter to LINA with instructions to consider additional evidence, was not an immediately appealable final order and review under the collateral order doctrine is inappropriate. This matter involved a denial of life insurance benefits under an employee benefit plan sponsored by Bank of America (“BofA”). BofA appealed the district court’s ruling that it was a Plan Administrator because the Plan defines the term “Plan Administrator” to mean Countrywide or such entity that may be appointed by Countrywide to administer the Plan, and that Countrywide appointed the Administrative Committee for Employee Benefit Plans to administer the Plan. The Committee in turn delegated to LINA its authority to administer the Plan upon purchasing the Policies. BofA appealed because of its concern that, were proceedings to continue under a new action, the Order would be “effectively unreviewable” on a later appeal. When BofA filed its appeal, this court had yet to determine whether, or under what circumstances, a district court’s remand to an ERISA plan administrator is immediately appealable. However, it subsequently addressed this issue in Mead v. Reliastar Life Ins. Co., No. 11-192-cv, 2014 WL 4548868 (2d Cir. Sept. 16, 2014). 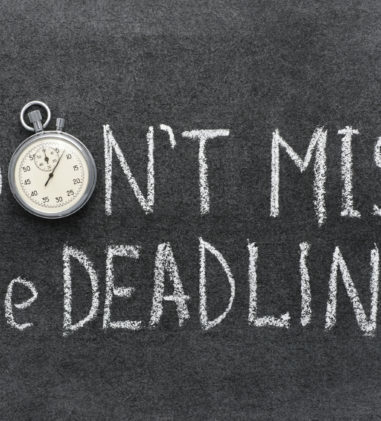 While declining to adopt “a hard-and-fast rule,” Mead held that because an ERISA remand order contemplates further proceedings before the plan administrator, it is not final and therefore may not be immediately appealed except when the familiar collateral order doctrine applies. Meadfurther held that to preserve an ERISA plan administrator’s ability to obtain appellate review of a non-final remand order, we generally will interpret a district court’s remand order as having retained jurisdiction over the case such that, after a determination by the plan administrator on remand, either party may seek to reopen the district court proceeding and obtain a final judgment. Under this framework, the district court’s Order is not an immediately appealable final order since it did not resolve conclusively the issues of liability and damages and the district court has retained jurisdiction over this case. The court rejected BofA’s contention that the portion of the order holding that it is a Plan Administrator is reviewable under the collateral order doctrine. An order is appealable under the collateral order doctrine if it (1) conclusively determines the disputed question; (2) resolves an important issue completely separate from the merits of the action; and (3) is effectively unreviewable on appeal from a final judgment. The court determined that BofA’s appeal fails to satisfy at least the third requirement, because the district court’s ruling will unquestionably be reviewable on appeal from a final judgment. Because review of non-final orders under the collateral order doctrine is intended to be narrow and selective, the court determined that there is no compelling reason to grant such review here. Court Upholds Denial of AD&D Benefits Where Alcohol Intoxication Caused or Contributed to the Insured’s Death. In Lake v. Aetna Life Ins. Co., CIV.A. 13-5889 JEI, __F. Supp. 3d ___, 2014 WL 5339325 (D.N.J. Oct. 21, 2014), a matter involving a denied claim for AD&D benefits, the court denied the plaintiff’s motion for judgment on the pleadings and granted Aetna’s motion for summary judgment. The decedent was killed as a result of a single-car crash when his vehicle veered off a road and struck a tree. The crash investigation report described the relevant roadway as straight, level, and clearly marked with painted lines. There was no traffic on the road when decedent crashed and it was dark and slightly rainy. The decedent sustained massive internal injuries as a result of the crash and died as a result of those injuries. A toxicology report based on blood drawn postmortem found that the decedent’s blood alcohol concentration was 0.133%. The legal limit under New Jersey law is 0.08% w/v. AD&D benefits are payable if “you suffer a bodily injury caused by an accident; and if, within 365 days after the accident and as a direct result of the injury, you lose … your life.” Benefits are not payable for a loss “caused or contributed to by … [a]n intentionally self-inflicted injury …. [or][a] covered person’s being intoxicated or being under the influence of narcotics unless administered or consumed on the advice of a physician.” Aetna denied Plaintiff’s claim for AD&D benefits after completing its review of the police and toxicology reports because the Plan’s language precluded coverage where an accident was caused or contributed to by the decedent’s intoxication. Plaintiff alleged that she mailed a letter requesting that Aetna reconsider its decision to deny AD&D benefits but Aetna claimed it did not receive any correspondence from plaintiff until after the appeal deadline when her counsel contacted Aetna and requested a copy of the Plan. With respect to plaintiff’s Rule 12(c) motion, the court declined to exercise its discretion to treat the motion for judgment on the pleadings as a motion for summary judgment because she presented no documentary evidence outside the pleadings. The court denied the plaintiff’s 12(c) motion because it determined that Aetna’s Answer clearly raises issues of material fact and asserts affirmative defenses that preclude judgment on the pleadings. Plaintiff would not be able to recover under this court’s review of her claim for denial of benefits if the evidence supports Aetna’s position that the decedent was intoxicated and that his intoxication caused or contributed to his death. She also would not be able to recover if she did not exhaust her administrative remedies. 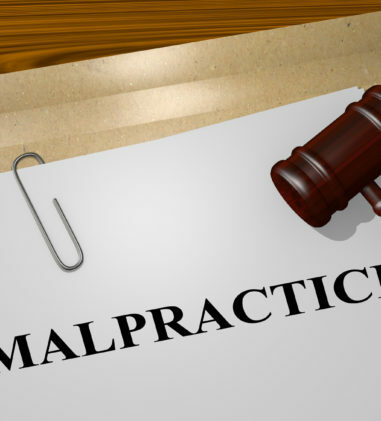 Since Aetna’s Answer raises issues of material fact as to the level of decedent’s intoxication at the time of his accident, and whether Plaintiff exhausted her administrative remedies, judgment on the pleadings would be inappropriate. Aetna moved for summary judgment on two grounds: (1) Plaintiff failed to exhaust her administrative remedies, and (2) even had Plaintiff exhausted her administrative remedies, she has not presented facts sufficient to show that Aetna’s decision to deny her claim for benefits was arbitrary and capricious. Considering Aetna’s inherent conflict of interest, the court determined that Aetna’s decision was based on substantial evidence. The decedent’s BAC far exceeded New Jersey’s legal intoxication limit. The police report established that the decedent was the only vehicle involved in the accident, which occurred on a straight and level roadway with properly painted lines and free of any hazards. Plaintiff submitted no evidence during either the administrative process or to this court in support of her argument that the BAC reading from blood drawn ninety minutes, or even three hours, following the decedent’s car crash did not provide a factual basis for determining his level of intoxication at the time of the incident. The court reasoned that the plaintiff could have presented evidence regarding when the decedent consumed alcohol, how much he consumed, and whether he had eaten a meal before driving-information that could have called Aetna’s reliance on the toxicology report into question. Although the court noted that the rain and darkness that night may have played a role in the incident, based on the above facts, it would be unreasonable to find that Aetna’s determination that the decedent’s intoxication at least “contributed to” the accident was arbitrary and capricious. 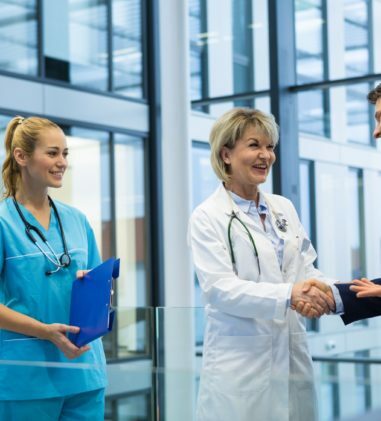 The court determined that there is no basis for concluding that Aetna’s role in interpreting and making payments pursuant to the Plan infected its decision to deny benefits. Since the court held that a reasonable factfinder could not find Aetna abused its discretion in denying benefits under the Plan, it declined to reach the question of whether the plaintiff exhausted her administrative remedies. Employer Required to Make Delinquent Contributions to Multi-Employer Pension and Welfare Funds and Bound by Terms to Which it Did Not Explicitly Assent. In Russ v. S. Water Mkt., Inc., 13-3613, __F.3d___, 2014 WL 5176658 (7th Cir. Oct. 15, 2014), the 7thCircuit Court of Appeals reversed and remanded the district court’s decision entering judgment in favor of the employer in a suit brought by multi-employer pension and welfare funds to require the employer to make delinquent contributions. South Water Market and Local 703 of the Teamsters Union had a collective bargaining agreement that ran from 2004 through April 30, 2007 and subsequently “shook hands” on an extended agreement. Michael Abramson, South Water Market’s bargaining representative, was supposed to write up the agreed terms and send them to the Union, but he did not, claiming to have trouble with his notes. Howard Murdoch, the Union’s president, sent Abramson a document with the terms that Murdoch’s notes said had been agreed. Abramson did not reply but South Water Market did begin paying the wages, and making the pension and welfare contributions, specified in Murdoch’s text. Murdoch also sent the document to the pension and welfare funds, telling them that South Water Market had agreed to its terms. The funds submitted bills calculated according to those terms. South Water Market paid them until August 2009. At the end of July 2009 a warehouse driver retired. This driver had received higher wages and larger fringe-benefit contributions than workers in another classification. After the driver retired, South Water Market refused to provide more than one of its workers with the wages and fringe benefits of the driver classification even though it arguably had agreed to provide these benefits to two workers. South Water Market’s defense is that it never agreed to the terms that Murdoch drafted, and the district judge agreed with South Water Market because Abramson never signed Murdoch’s draft and did not convey assent in any other way, such as by return email. The court determined that the fundamental problem with the district court’s approach is that the Labor Management Relations Act makes a written agreement essential to participation in a pension or welfare plan, 29 U.S.C. § 186(c)(5)(B), and ERISA provides that multi-employer pension and welfare funds can enforce these agreements as written. South Water Market did not contend that it wants to drop out of the pension and welfare plans, or that it did withdraw in September 2007. Thus, the April 2008 document is the indispensable written agreement because the 2004 agreement expired by its own terms in 2007 and the parties formally terminated it. Nothing remains except the April 2008 document. The court determined that if South Water Market is to participate at all, those are the only available terms. More than that: performance under a proposal is one means of giving assent to be bound. The court remanded for calculation of how much South Water Market owes under the April 2008 document and entry of a judgment in that amount. Construction of Plan Term Requiring Court to Examine Extrinsic Evidence Does Not Render the Contract Ambiguous. In a per curiam decision in Snow v. Boston Mut. Life Ins. Co., 13-15067, __Fed.Appx.___, 2014 WL 5285981 (11th Cir. Oct. 16, 2014), the 11thCircuit Court of Appeals affirmed the district court’s final order in favor of Boston Mutual and the plaintiff’s former employer on the plaintiff’s claim for life insurance benefits. 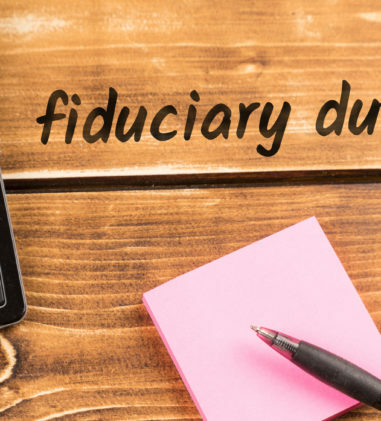 Plaintiff alleged that Boston Mutual wrongfully denied payment of approximately $115,000 in life insurance benefits and sought equitable relief claiming that Boston Mutual, as plan administrator and claims adjudicator, breached certain fiduciary duties. 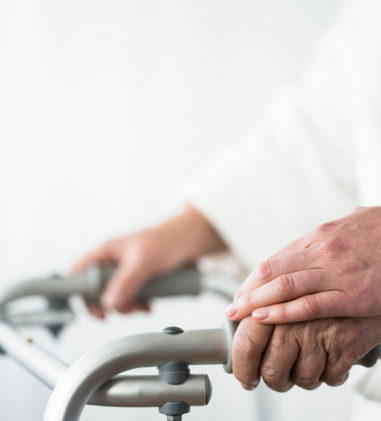 Boston Mutual issued a group life insurance policy to Meadowcraft to insure the life and death component of Meadowcraft’s long-term disability plan. The Plan included a waiver of premium provision allowing the coverage to continue if an employee became disabled. The deceased participant worked at Meadowcraft until he became disabled, and then died at the age of 66 years and 9 months. 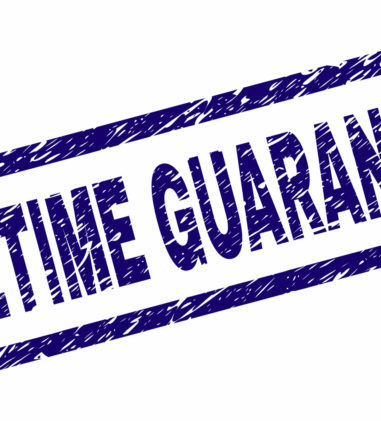 Under the Plan, when a disabled employee’s waiver of premium claim is approved, his life insurance will be kept in force under certain conditions, but in no event beyond the Normal Retirement date in effect as of the date of disability. 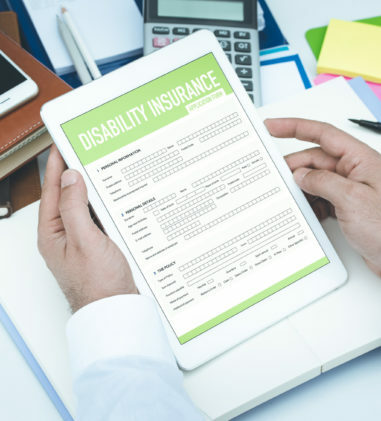 Additionally, if an employee leaves his job due to disability, the Policyholder may keep the employee’s insurance in force until the Policyholder chooses to stop it or until the employee’s normal retirement date, whichever is earlier. The Plan defines “Normal Retirement Date” as the “normal retirement date provided for by the Policyholder’s published or accepted personnel practices.” Because the Plan defines “Normal Retirement Date” in reference to Meadowcraft’s “published or accepted personnel practices,” it was necessary for the district court to examine extrinsic evidence of Meadowcraft’s personnel practices to determine the Normal Retirement Date. This did not make the plan term ambiguous; courts may look to sources outside of an ERISA plan to determine the meaning of a term that the plan does not define. Moreover, the court determined that the district court did not clearly err in construing the Normal Retirement Date to be 65 year old. 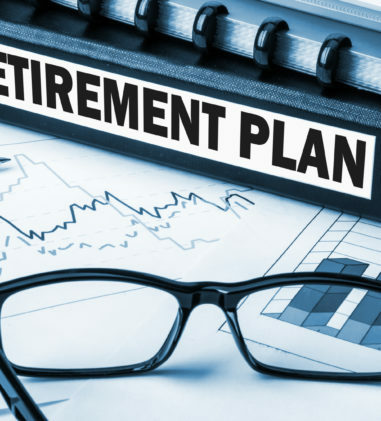 This age was found in a summary of Meadowcraft’s 401(k) plan, which provided that “your normal retirement age is the date you reach age sixty-five,” and in testimony from Meadowcraft human resources employees. The court found that the district court did not err in concluding that the participant’s life insurance coverage lapsed prior to his death at age 67, and that the plaintiff was not entitled to any benefits under the Plan. The court also rejected plaintiff’s claim that the district court erred in concluding that only the Plan Administrator owed fiduciary duties to the participants since the disclosure obligations are statutorily vested with Plan Administrators and Boston Mutual was not the Plan Administrator. Allegations of Irreparable Injury Insufficient to Excuse Obligation under MPPAA to Make Interim Payments. In Boland v. Wasco, Inc., CV 13-739 (RC), __F. Supp. 3d___, 2014 WL 5293478 (D.D.C. Oct. 17, 2014), the parties disputed the issue of withdrawal liability after the defendant employer withdrew from a multiemployer pension plan. The pension fund’s trustees filed a motion for judgment on the pleadings, seeking to recover interim payments from two employers under a “pay now, dispute later” rule. The court granted the trustees’ motion, rejecting the employer’s request that the court exercise its equitable power to suspend its obligation under the MPPAA to make interim payments on the grounds that it would suffer irreparable injury otherwise. The court concluded that the plain text of the MPPAA forecloses an equitable “irreparable injury” exception and that the trustees are therefore entitled to interim payments. Alternatively, even if the MPPAA were to permit discretionary suspension of interim payments to prevent irreparable injury, the court determined that it would not exercise such discretion here and noted that the 2nd Circuit is the only circuit permitting a finding of “irreparable injury,” standing alone, to excuse an employer from interim payments. In contrast to the 2nd Circuit case, the employer offered nothing but an allegation of its “precarious financial position.” Such a vague allegation, even assumed to be true, does not support an inference of any non-speculative, imminent, or severe harm sufficient to constitute irreparable injury in this context. The court concluded that the MPPAA’s transcendent legislative purposes foreclose an equitable irreparable injury exception to the interim payment obligation. 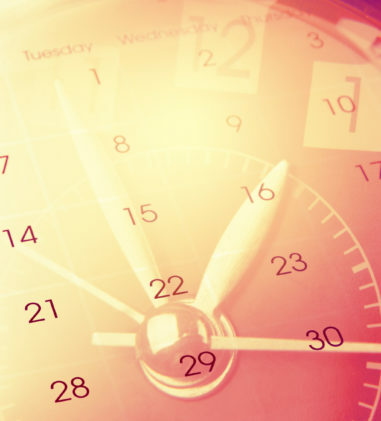 The MPPAA mandates that interim withdrawal liability payments “shall be payable … notwithstanding any request for review or appeal of determinations of the amount of such liability or of the schedule.” 29 U.S.C. § 1399(c)(2). By requiring employers to make interim payments, Congress sought to alleviate the risk that during the course of arbitration, an employer will become insolvent, and that the fund will not be able to collect in the event of a favorable award. Pension Plan v. Yubacon Inc., C-12-04738 DMR, 2014 WL 5280759 (N.D. Cal. Oct. 14, 2014) (in matter involving default judgment awarding withdrawal liability, granting award of attorneys’ fees for work performed from August 26, 2011 through July 31, 2014, upon the following rates and hours: (1) 64.90 hours by Shaamini Babu, at a rate of $205 per hour; (2) 35.10 hours by Julie Richardson, at two rates: $195 per hour from August 30, 2011 through May 31, 2012 and $205 per hour from June 1, 2012 through April 18, 2013; and (3) 89.30 hours of work performed by three paralegals at the rates of $115 per hour and $120 per hour; finding that these are reasonable San Francisco Bay Area rates for ERISA claims). Cohen v. Metro. Life Ins. Co., CIV.A. 13-3295, 2014 WL 5314979 (E.D. Pa. Oct. 16, 2014) (where Plaintiff was disabled due to failed back surgery that was performed to relieve his degenerative disc disease and posterior osteophytes, and which left him with new scar formations, finding that MetLife’s interpretation and application of the 24-month benefit limitation for neuromusculoskeletal disorders was not an abuse of discretion). Schultz v. Bldg. Trades United Pension Trust Fund Plan, 14-C-64, 2014 WL 5148435 (E.D. Wis. Oct. 14, 2014) (upholding denial of post-retirement application for total disability benefits, where Plaintiff’s application was deemed late pursuant to the Plan terms, which required that one apply for benefits “not less than 30 days nor more than 90 days after the Plan provides the Participant and spouse with detailed information concerning their Benefit options,” and because Plaintiff “did not receive an illustration sheet at least 30 days before the annuity starting date”). Peck v. Union Pac. R. Co., 4:13-CV-00345-BLW, 2014 WL 5305855 (D. Idaho Oct. 15, 2014) (finding that Plaintiff did not become an official Union Pacific employee and thus a beneficiary of the United Transportation Union Discipline Income Protection Program rights and benefits, by successfully completing her “probationary period” before Union Pacific terminated her employment and granting motion for summary judgment in favor of Defendants). Veillette v. Renown Health, 314-CV-00327-RCJ-VPC, 2014 WL 5286517 (D. Nev. Oct. 15, 2014) (where several allegations in the Complaint state that employer terminated Plaintiffs’ employment with the intent to deprive Plaintiffs of their “employee benefits,” even if the allegations in Plaintiffs’ Opposition to the employer’s motion to dismiss revealed that Plaintiffs’ claims are completely preempted by ERISA, these same allegations existed in Plaintiffs’ Complaint and the employer was obligated to remove the action within 30 days of receipt of the Complaint, which it failed to do; granting Plaintiffs’ Motion to Remand on the basis that employer’s removal was untimely and declining to reach the substantive issue of whether Plaintiffs’ claims are completely preempted by ERISA). Dollarhide v. USAble Life, 4:14CV00196 SWW, 2014 WL 5332466 (E.D. Ark. Oct. 20, 2014) (finding that denial of life insurance benefits was not an abuse of discretion where the evidence is undisputed that Service Professionals cancelled the Policy and that the decedent was responsible for converting his policy to an individual policy but did not attempt to do so and did not exhaust administrative remedies). Malenski v. Standard Ins. Co., CIV-11-408-SPS, 2014 WL 5320645 (E.D. Ok. Oct. 17, 2014) (upholding Standard’s denial of AD&D benefits where participant’s cause of death was due to complications of cerebral edema and herniation due to dehydration and electrolyte abnormalities and acute gastroenteritis complicated by heat exhaustion, and ruled an “accident” by the doctor who performed the autopsy, but where Standard’s reviewing doctor determined that gastroenteritis constituted an existing sickness that contributed to her accidental death). Lord v. Aetna Life Ins. Co., 8:14CV131, 2014 WL 5307496 (D. Neb. Oct. 16, 2014) (finding Aetna’s decision to deny medical benefits for X-STOP surgery was not an abuse of discretion where the court found that Aetna based its decision on identified medical reasons and literature, there was no ambiguity as the Policy clearly excludes the X-STOP surgery and Plaintiff definitely knew that the defendant would not pay for his surgery due to the exclusion but he chose to proceed with the surgery on his own, and there was no good cause to allow evidence outside of the administrative record). M.K. v. Visa Cigna Network POS Plan, 1:13CV73DAK, 2014 WL 5163908 (D. Utah Oct. 14, 2014) (in matter involving denial of medical benefits for residential treatment of an eating disorder and mental health problems, finding that Cigna’s decision of medical necessity was not an abuse of discretion where the court determined that the Plaintiff was in a physically stable condition, she had never received any treatment for eating disorders or mental health issues, and a less intensive treatment could reasonably have been tried before 24-hour residential treatment). Perez v. Bruister, 3:13CV1001-DPJ-FKB, 2014 WL 5308404 (S.D. Miss. Oct. 16, 2014) (in matter involving ESOP trustees’ purchase of Employer Bruister and Associates, Inc. stock based on valuations of fair market value performed by an independent appraiser and Plaintiffs’ allegations that the appraiser was not truly independent and reliance on the appraiser was not reasonably justified, finding in favor of Plaintiffs following a 19-day bench trial). Wallace v. Blue Cross & Blue Shield of Alabama, CIV.A. 14-0119-CG-C, 2014 WL 5335823 (S.D. Ala. Oct. 20, 2014) (in matter involving denial of insurance coverage for Plaintiff’s proposed reconstructive surgery, dismissing Section 502(a)(1)(B) claim because Plaintiff failed to exhaust administrative remedies, dismissing Section 502(a)(2) claim because it does not provide a remedy for individual injuries distinct from plan injuries, and dismissing Section 502(a)(3) claim because Plaintiff has an adequate remedy under 502(a)(1)(B)). Carlson v. Northrop Grumman Corp., 13 C 2635, 2014 WL 5334038 (N.D. Ill. Oct. 20, 2014) (in matter involving denied severance benefits and after exchange of initial discovery, granting Plaintiffs’ motion to amend the complaint to bring Section 502(a)(1)(B) and 510 claims on behalf of a proposed class and to add third count for equitable reformation of the Plan pursuant to Section 502(a)(3)) . Jenkins-Dyer v. Drayton, 2:13-CV-02489-JAR, 2014 WL 5307851 (D. Kan. Oct. 16, 2014) (where Plaintiff alleged Defendants paid benefits to a third party falsely claiming to be the deceased participant’s surviving spouse in matter seeking payment of benefits under a Savings Plan, finding Plaintiff stated facts plausibly suggesting that the third party is not the surviving spouse and denying Defendants’ motion to dismiss). Perez v. Mueller, 13-C-1302, 2014 WL 5305897 (E.D. 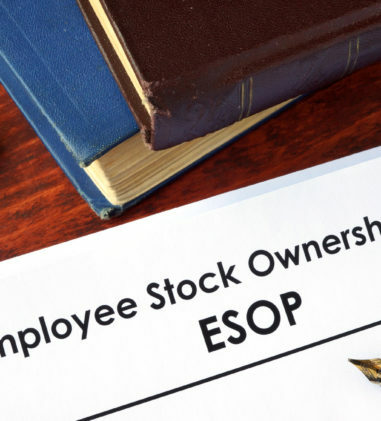 Wis. Oct. 15, 2014) (granting Secretary’s motion to dismiss the first amended third-party complaint, finding that Defendants could not impose the burden of their fiduciary breaches on Omni, the company that sponsors the ESOP under Section 410(a) of ERISA). Tharp v. Catron Interior Sys., Inc., 1:12-CV-01870-TWPDML, 2014 WL 5285946 (S.D. Ind. Oct. 15, 2014) (in matter where the court granted Plaintiff Trust Funds’ and Union’s motion to compel employer to allow Plaintiffs to complete a payroll audit for the period of January 1, 2011 through December 31, 2011 in order to recover any delinquent contributions and deductions, rejecting employer’s argument that the court’s consideration of an agreement as governing one of the named Plaintiff Trust Funds resulted in manifest error, and denying motion for reconsideration of the ruling on summary judgment). Wright v. PNC Fin. Servs. Grp., Inc., 13-15291, 2014 WL 5147518 (E.D. Mich. Oct. 14, 2014) (denying Plaintiff’s Motion to Decline Supplemental Jurisdiction and to Remand to Genesee County where ERISA claim and defendants had been dismissed but where the court believed that such dismissal was for purposes of forum manipulation).